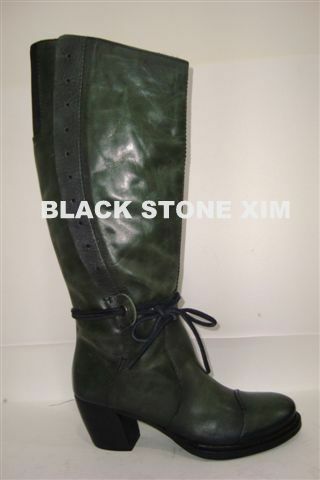 Black Stone XIM Services Private Limited was established in the year 2011. We are manufacturer, supplier, trader and exporter of finished leather, leather garments, leather shoes, leather jackets, leather moccasins, mens leather moccasins, boat shoes, formal shoes, ladies leather bags, ladies bags, designer handbags, leather handbags etc. We don't just manufacture products we create them with standard inputs along with a slight blend of creativity just to make it stand out in the market that is what our USP lies in. We have always strived for quality be it in terms of workmanship, the fittings and other materials we use or even the packaging its all as per international norms. our trained staff in guidance of senior personals ensure that all the expectations of our buyers are fulfilled. Moreover, our supreme quality raw materials are procured from the certified market sources and are primarily tested on certain quality parameters to ensure optimum fabrication process. Further, we have a team of knowledgeable personnel, who ascertain that we use only advanced quality raw material to develop our products. Further, we also ensure that our range of products is packaged in quality material to ensure their safety during the transit period. In addition, our constant innovation has enabled us to meet the ever changing demands of the global market. With our passion and dedication, crave for success and perfection, we came through some glorious phases of success, achieving this status of high repute. We make full use of our creativity and latest technology to offer you what you deserve - the best quality. We calculate our company’s credibility going by the number of returning customers rather than new ones.